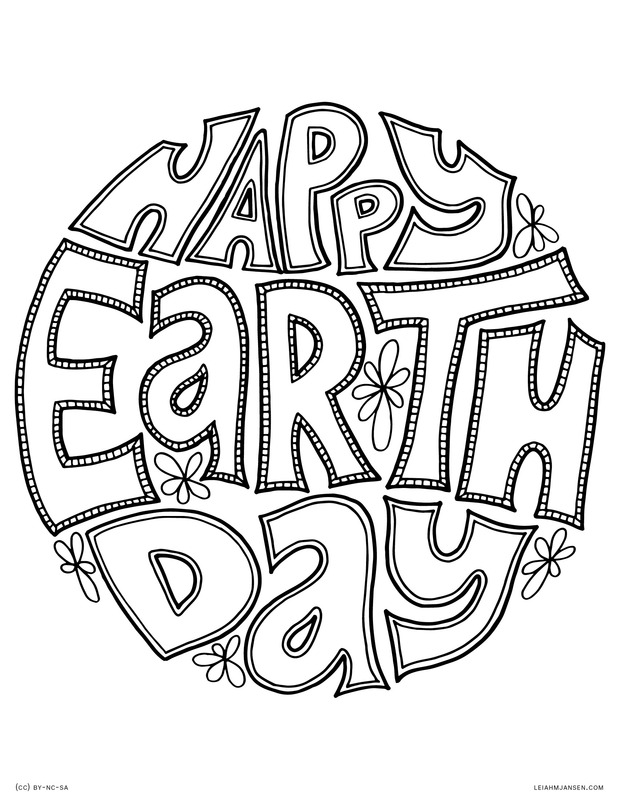 This annual event, celebrated on April 22 around the world, is a holiday that focuses on the environment. It’s meant to raise awareness of and appreciation for this beautiful planet that we live on. First started in 1970 by Senator Gaylord Nelson (WI-D), the event was created after a 1969 oil spill near Santa Barbara, CA. That first Earth Day celebration was a tipping point, bringing together people of all backgrounds, political affiliations, and across all socio-economic strata who were concerned about the environment and wanted to effect change. That first Earth Day, April 22, 1970, saw demonstrations all across the country with 20 million people gathered to protest the harmful things being done to the environment. CBS News had a special presentation with Walter Cronkite, Gaylord Nelson, and more. 1970 also saw the creation of the United States Environmental Protection Agency as well as the Clean Air, Clean Water, and Endangered Species Acts. The Earth Day movement continued to spread. In 1990 it leaped onto the global stage. That year there were 200 million people in 141 countries protesting on behalf of the environment. Around this time there was also a big push towards global recycling efforts. And in 1992 there was the first United Nations Conference on the Environment and Diversity in Rio De Janeiro. From there the movement grew and is now considered to be one of the largest secular observances around the world. Billions of people participate in a variety of ways from environmental cleanup efforts, to planting trees, to promoting activism on behalf of the environment. Join EarthDay.org to stay on top of this celebration and to be in the loop for activities and events around the world. Buy a water bottle that is reusable and shatterproof at Glasstic – get 10% off the last water bottle you will ever own. Protect yourself and the environment with 3rd Rock Sunblock – no parabens, no hormone-disrupting chemical, GMO-free, and not harmful to coral or other underwater marine life. Ditch the plastic, get your own beautiful glass straws. This helps to reduce the harmful impact of plastic straws on marine life as well as reducing the use of this non-biodegradable product. Ditch even more plastic by bringing your own utensils when you eat out using this beautiful Bamboo Utensil Travel Set. Buy organic as much as possible, especially for the Dirty Dozen (those 12 fruits and vegetables most likely to be contaminated by pesticides, for animal products (so the animals can be raised without the use of added hormones, heavy antibiotics, and high levels of pesticides in their feed, and for the most common genetically modified crops – corn, canola, and soy. Take a little time to connect with the earth through the healing practice of grounding. Plant a tree, preferably from a local nursery so you’re sure that it will do well in your area. Bonus – because taking time for low-tech quiet activities is never a bad idea. And if it happens to focus on the earth, so much the better. The holiday season has arrived. Along with the excitement and anticipation of celebrations we find ourselves surrounded by tempting food choices that we might not otherwise indulge in. For many these foods seem to bring out self-defeating negative statements. We tell ourselves things like, “I’m cheating” or “I’m so bad” or “I’m probably going to regret this.” Instead of feeding your mind with these negative thoughts consider making a mind shift. Focus on the company of the people you are gathered with, appreciate the setting, and feed yourself good foods and positive thoughts. 1. Eat breakfast: The most important meal of the day, often we’re tempted to skip breakfast so we’ll be “really hungry” when we get to that big meal or buffet. The roller-coaster effect on your blood sugar may cause you to overeat which adds to weight gain during the holidays. Chose a breakfast that is high in fiber and protein. 2. Eat before the party: Just as you want to be metabolically stable by eating breakfast, you want to have a small snack before the party to stave off any potential hunger that might lead you to make less desirable choices. Snack on something with a little protein like a handful of raw nuts. 3. Start off raw: When arriving at the party or event start by eating a salad or raw vegetables. These foods are high in fiber and very alkaline both of which are beneficial for your body. Just go easy on the creamy, fatty dressings by choosing healthier dressings such as vinaigrette or hummus. 4. Eat slowly: Savor your food and be mindful of what you are eating. The point of the party is to spend time with friends and family; to socialize rather than to stuff yourself. Eating quickly and mindlessly can lead to overeating; savoring your food and taking your time to eat will help prevent this. 5. Avoid sabotage: Frequently at family gatherings you may be encouraged to overeat the family food-pusher asks you to have “just one more” slice of pie, serving of casserole or whatever dish they are promoting. Learning to gently refuse seconds, thirds or more will help you feel better and avoid excess. 6. Size matters: If your host has different size plates available always choose the smaller one. You are more likely to finish your plate no matter what size it is. Using a smaller plate allows you to have more control over your portion sizes. 7. Beware of buffets: When presented with a large array of choices most of us tend to try to take “just a little bit” of everything on the buffet. The problem is that by the end of the buffet line your plate is overfull and you are more likely to overindulge. Successful buffet techniques include looking at the buffet first and choosing those items you really want to eat. Make sure that at least half of your plate is salads, if available, to help cut down on the foods with fatty, rich sauces. Also try to avoid going back for seconds. 8. Don’t deprive yourself: Moderation is key. Allowing yourself to have small tastes of certain foods, especially fatty, sugary desserts can help prevent a deprivation-induced binge. If you put a whole dessert on your plate you’ll be tempted to eat it. Instead cut it in half or quarters and have just those few bites on your plate. 9. Share the wealth: In addition to party invitations many people receive gifts of highly caloric foods like chocolate, candy, cookies, alcohol and more. Sharing them with office mates and others helps remove temptation. 10. Moderate your alcohol intake: alcohol has a lot of calories and can reduce the number of calories that you burn. Alcohol can also increase your appetite, once again leading to overindulgence. To avoid this (and a potential hangover) limit the number of alcoholic drinks and alternate each one with water or sparkling water. With a little preparation you can successfully make it through the holiday season without regret. Happy Holidays and be well. If you’re like me the thought of a new year brings hopes for shiny and new beginnings. Part of that includes the kitchen. After all it really is the heart of the home. But the kitchen and pantry tend to get cluttered over time. The disorganization and clutter happens slowly. We become so accustomed to it that we don’t even realize how out of order things have become. Disorganization makes it overwhelming when you’re trying to cook or meal plan. With the beginning of a new year is a great time to make a fresh start. Time to get rid of everything that’s getting in the way of your organized, healthy kitchen. Once it’s cleaned out, you’ll find it easier to make wonderful, healthy meals to feed yourself and those you love. I love cleaning out my kitchen and always set aside some time in the first week of the year to get things back on track. After all of these years I’ve gotten to a point where it’s quick and super easy. In order to help you enjoy a sparkly fresh start with your kitchen I’ve made this handout. With just 15 items it’s a simple and easy to understand way to get your fridge, freezer, pantry, and kitchen ready to go for the year ahead. A kitchen cleanout can seem a bit overwhelming if you’ve never done it before. Break the task list down to make it easier on yourself. Set your timer for 30 minutes and go down the list. At the end of 30 minutes you’re done for today (or do another 30 minutes if you’re feeling motivated). With just a few cleanout sessions you’ll be amazed at how organized your kitchen is. Before you know it you’re ready for the year ahead. You can get free copy of this printable here. New day, new year, new word. Each year I pick a word of the year. One word that I use to help me pay attention to my goals and to give me a touchpoint to refer to throughout the year. It sounds simple but it’s harder than you think to pick just one word. To think about the overall goals for the year ahead, to find something meaningful that resonates within me as my inspiration. This year I’ve chosen the word focus. Last year’s word was balance and I certainly put a lot of thought and effort into staying mindful with that word. I feel like I did better with the whole work-life-spirit-me-others balancing act (although there is always room for improvement). But being in balance and being focused are two very different things. When I chose the word focus I had not really thought about all of the different meanings. I was concentrating on the verb, to become more focused. I meant it to be more attentive to things and to narrow down on what’s important. To try to winnow through some of the distractions and what I call “The Octopus.” You’re probably familiar with it. The Octopus is where you feel like you have everything under control, then you get distracted by other things but you fold them in to what you’re doing. Then you start spinning another plate or two and the next thing you know you’re overwhelmed, trying to figure out how to corral everything back under control. But it’s a noun as well, bringing something into focus and I like that idea as I begin on the path that is this delicious new adventure of a new year. And it turns out I also like another definition as well. To become a central point. I see that as being your resource, your go to person for reliable information about ingredients, food, nutrition, and health. That loops back to the first time I did the word of the year challenge and chose the word inspire (you can read about that word here). If you’d like to pick a word of the year consider writing it down. You can even go online to OneWord365.com and find others who are using the same word as you are. Whatever your goals are for this new year I wish you many good things along the journey. PS – If you’re nerdy like me you probably want to read what the official dictionary definition is. 1. a central point, as of attraction, attention, or activity: The need to prevent a nuclear war became the focus of all diplomatic efforts. 2. Physics. a point at which rays of light, heat, or other radiation meetafter being refracted or reflected. the focal length of a lens; the distance from a focal point to acorresponding principal plane. in focus; out of focus. 4. Geometry. (of a conic section) a point having the property that the distances from any point on a curve to it and to a fixed line have a constant ratio for all points on the curve. 5. Geology. the point of origin of an earthquake. 6. Pathology. the primary center from which a disease develops or in which it localizes. verb (used with object), focused, focusing or (especially British)focussed, focussing. 7. to bring to a focus or into focus; cause to converge on a perceived point: to focus the lens of a camera. 8. to concentrate: to focus one’s thoughts; to focus troop deployment in the east. verb (used without object), focused, focusing or (especiallyBritish) focussed, focussing. 9. to be or become focused: My eyes have trouble focusing on distant objects. 10. to direct one’s attention or efforts: Students must focus in class. It’s that time of year…the time we arbitrarily close the cycle of days that has come before and look forward to a New Year. One filled. one hopes, with promises, joy, and many good things. As I’ve written about before, I’m not much of a one for resolutions, I prefer goals. Each year I do sit down and think about what I would like to accomplish for the upcoming months. To set out a roadmap that I can at least use as a guide to moving forward. This year, a random post by my friend Trudy Scott posed the question what would you pick as your defining word for the upcoming year. She heard about it over at Intent.com. I was immediately struck by how powerful this could be. The idea of focusing in on just one word. One defining concept and trying to achieve the goals set by that word. After much thought, writing and crossing out, saying aloud, and defining, I’ve hit on a word. Inspire. I find myself motivated by this one word. I see so many permutations of how it might be used as a focal point over the next 12 months. As a nutrition educator and real food advocate I am always seeking to help those around me. To support them so they can make educated choices for themselves and their loved ones when it comes to their food and health. Through my work, my writings, lectures, and connections I hope to inspire people to make those choices for health. I frequently ‘shout out’ about a wide range of topics all related to food, nutrition, and holistic health in an effort to motivate others. [An example is all those who are now aware (and disgusted) about the use of chicken poop as cow feed – if this bothers you please tell the FDA how you feel by signing this petition]. While it’s often upsetting information, I am very sincere in my desire to share this not as a means of upsetting people but in the hopes that they will be, indeed, inspired to make different choices and to speak out in their turn, to have an impact. Inhaling, breathing, is a good thing. I believe we all need to do more of that. Especially deep breathing. Taking a moment in time to draw air deeply into our lungs has a beneficial effect when it comes to lowering stress. We should all do more of that, myself included. Breathing in sharply can be a sign of surprise, of interest, an aha! moment. I hope to find, and share, more of those moments throughout the year ahead. But inspire is a word that I chose not only because of how I hope to use it to connect with those around me, but because of what I hope that focus can mean for me. I want to be inspired. I want to find that surprise, those guiding, influencing moments that I know lie ahead. To do that means I need to be aware, open to the possibility, to the gifts that bring those moments of inspiration. I also need to be open to the opportunity to share, to give, to be inspired. It turns out that other people are interested in the idea of a one word focus. You can connect with them through the OneWord365 website. You can find a word that speaks to you, connect with others who share your word, or just set your intention for the year. I’d love to hear your word and why you chose it, leave a comment below and share. Wishing a healthy, happy, peaceful and joyous New Year to you all.